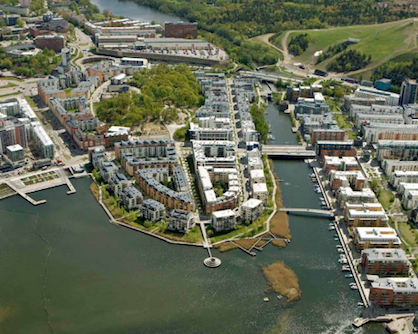 Hammarby Sjöstad is a large residential development in Stockholm, with an innovative urban design and sustainability program. 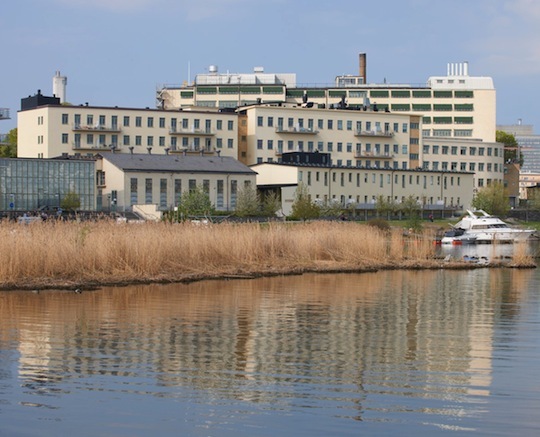 Since 1995, the municipal government has transformed a 200-hectare industrial site on Hammarby Lake into a neighborhood with 9,000 residential units, 400,000 square meters of commercial space, new canals, piers, bridges, a tramway and ferry service. By 2011 it was home to 17,000 people, and the total population (including 5,000 local workers) is projected to be almost 30,000 upon completion in 2017. 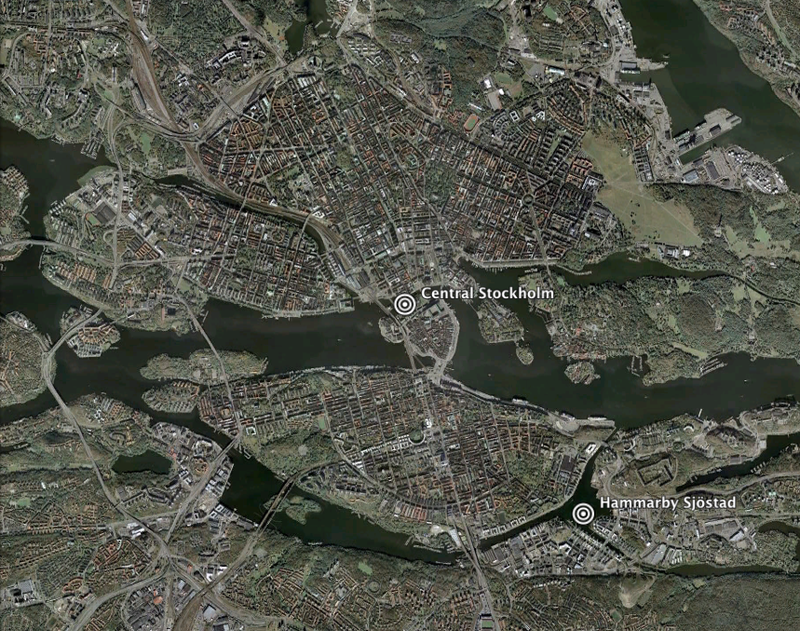 The Stockholm City Planning Bureau drafted a master plan for multi-unit housing reminiscent of 19th-century urban blocks with interior courtyards and businesses at street level. 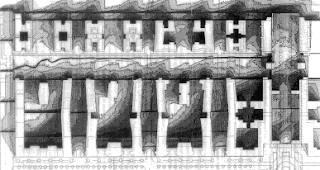 They adapted this layout into U-shaped buildings to maximize waterfront views, and set height restrictions to bring more sunlight into each courtyard. 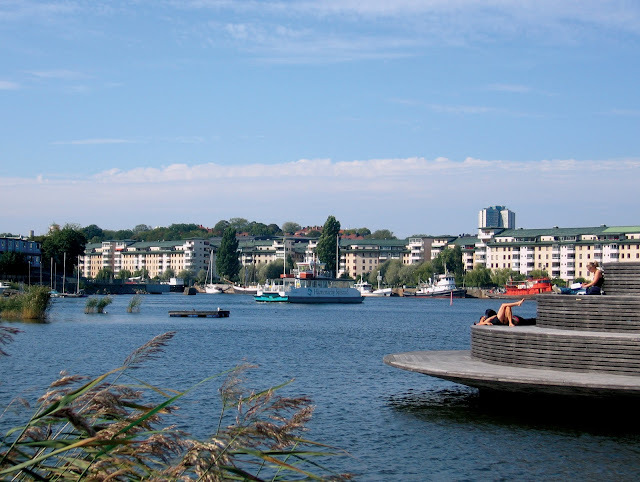 Hammarby Sjöstad’s urban livability features are complemented by a comprehensive environmental strategy. The municipal government decontaminated the area and set a goal for limiting carbon emissions to 50 percent of the average for new residential development in the city. 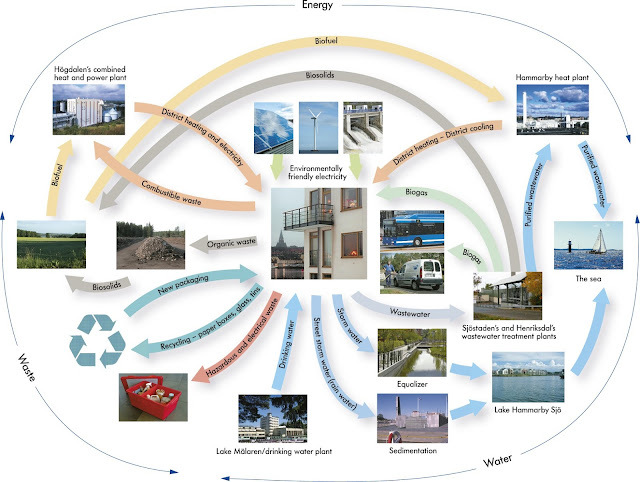 The Stockholm Waste Management Administration worked with the Stockholm Water Company and Fortum — a Finnish energy company — to develop the “Hammarby Model” for managing water, energy and waste based on an “eco-cycle” of consumption and reuse. Despite Hammarby Sjöstad’s impressive planning, it has not escaped criticism. Providing advanced facilities for waste management, energy-efficiency and public transportation has apparently not prompted residents to adopt ecologically sensitive lifestyles to the extent expected. 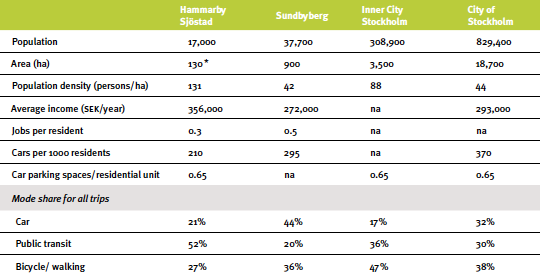 Post-occupancy studies show that many are unwilling to make even minor sacrifices to help realize the city’s environmental goals, lobbying instead for more parking (although their use of cars is still lower than average for Stockholm). A large shopping mall outside Hammarby Sjöstad has been an impediment to limiting the use of cars and supporting neighborhood businesses. In addition, the municipal government hasn’t enforced standards for window size and building materials that would further reduce energy consumption. While the development includes a small percentage of subsidized apartments for students and people with disabilities, and efforts are underway to increase low-cost options, existing costs have led to a much higher average income than that of the city as a whole. Sustainability as a concept is blessed and cursed with a seemingly endless range of interpretations. It unites us in a general sense, but often becomes problematic in transition to specific action. 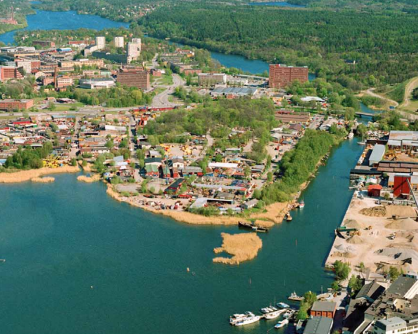 Hammarby Sjöstad is a case in point: sustainable development served as a rallying call for public officials planning for the future, but also helped stigmatize the area’s previous inhabitants to make way for high-income housing. The redevelopment appears to be a net gain for the city, but critical assessment helps identify what was lost and what should be improved. 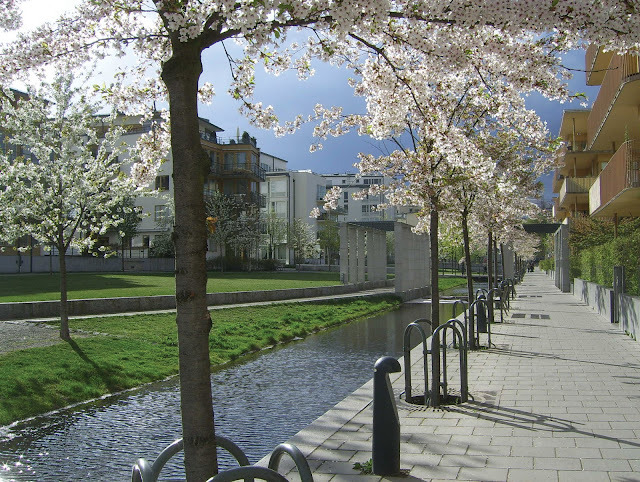 Returning to the Henrietta Palmer quote, initiatives like Hammarby Sjöstad can benefit from continuous reflection upon how we live together and how to create the best possible conditions. This is a very well documented post, which gives a deep understanding of the relation between planning and sustainability. The critism which is mentioned in the post, for the project, is also very helpfull for realizing that sustainability is an on-going process. Just two thoughts from my perspective. 1st: the fact that the area was a municipal property, facilitated decisions of planning. 2nd: when an industry is moving from place A to place B, then sustainability in place A, has to be considered in relation with sustainability in place B.